Home » Health » Does This Controversial MS Treatment Work? Does This Controversial MS Treatment Work? Another potential multiple sclerosis (MS) treatment has been removed from its place near the top of a list of controversial procedures aimed at stopping the progression of the debilitating disease. Called the “Zamboni procedure,” the treatment was developed by an Italian doctor named Paolo Zamboni. Dr. Zamboni’s wife had MS, and through a series of experiments, he developed a procedure that he thought would bring relief to his wife’s symptoms. The procedure involves opening up the veins in the neck by snaking a balloon from the groin up through to the neck. The balloon is then inflated and “pushes” out the walls of the veins, increasing their internal circumference (a technique called angioplasty). Dr. Zamboni felt that impaired blood flow in the jugular is partially responsible for the symptoms of MS. His theory postulates that the impaired blood flow causes blood to head back to the brain where it then leaves behind iron deposits. It is these iron deposits, Dr. Zamboni declared, that are likely behind the onset and progression of MS symptoms. The Zamboni procedure has been controversial from the start. Many experts have rejected it as scientifically unproven, and this is certainly the case in a recent clinical trial conducted in Newfoundland and Labrador. There, researchers performed an observational study that followed 30 people who had undergone the Zamboni procedure, along with 10 others who didn’t get the treatment and who acted as control. They found no health benefits in those who had the procedure. Some people paid upwards of $3,500 to have the treatment performed in Europe. Currently, the Zamboni procedure is not covered under Newfoundland and Labrador health insurance nor is there any sign that the procedure will be included in future health care plans. The FDA has weighed in on the issue too and has advised against undergoing the treatment. There have been reported cases of injury and even two deaths. The Zamboni procedure does mark a shift in how people are thinking about MS as a disease. Originally considered a neurological autoimmune condition, MS still remains a mystery. The Zamboni procedure characterizes MS as a vascular disease, hence the angioplasty procedure to correct it. Whether or not there’s any merit in thinking about MS as a vascular disease remains to be seen. It’s estimated that more than 12,000 patients have paid to have the Zamboni procedure done, with the bulk of these patients paying out of their own pockets. The fact may be, and the current study suggests this, that the Zamboni procedure is a risky one. Screening protocols in countries offering the treatment are inconsistent. What drives people to try a procedure that may harm their health further and compound the symptoms associated with MS? In most cases it’s dissatisfaction with conventional treatments that offer little or no help. 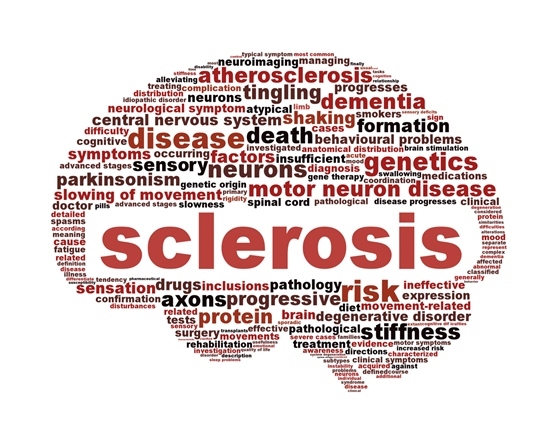 MS is an unpredictable disease that causes problems with hearing, memory, vision, balance and mobility. It can take a toll on a number of different facets of a person’s life, including their physical health, their emotional health, and their financial health. There is still no cure for MS.
“No Benefit to Controversial MS Treatment, Says N.L. Study,” Huffpost Living web site, Aug. 6, 2013; http://www.huffingtonpost.ca/2012/06/07/controversial-ms-treatment_n_1578133.html?, last accessed Dec. 6, 2013. Pryse-Phillips, W., et al., “An observational study of venoplasty in patients with multiple sclerosis,” Can J Neurol Sci. March 2013; 40(2): 203-9. Duncan, I., “FDA warns against multiple sclerosis treatment,” Los Angeles Times web site, May 10, 2012; http://articles.latimes.com/2012/may/10/nation/la-na-fda-ms-20120511, last accessed Dec. 6, 2013.